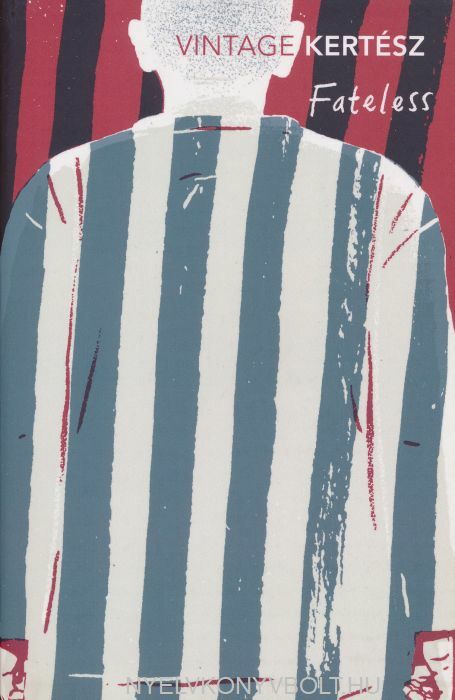 Gyuri, a fourteen-year-old Hungarian Jew, gets the day off school to witness his father signing over the family timber business - his final act before being sent to a labour camp. Two months later, Gyuri finds himself assigned to a 'permanent workplace'. 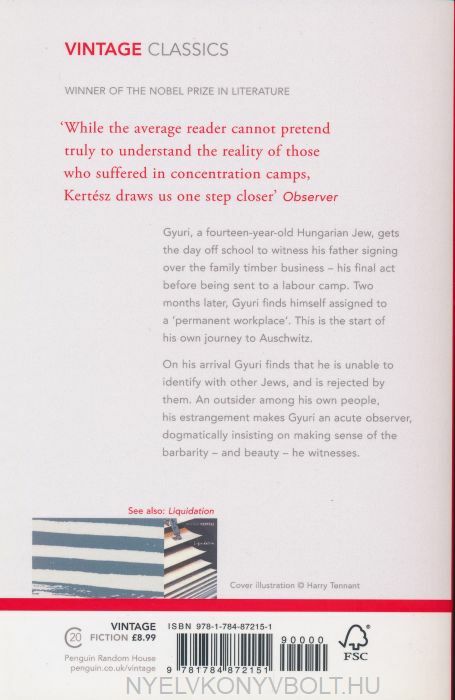 This is the start of his journey to Auschwitz.On his arrival Gyuri finds that he is unable to identify with other Jews, and is rejected by them. An outsider among his own people, his estrangement makes him a preternaturally acute observer, dogmaticallyinsisting on making sense of the barbarity - and beauty - he witnesses.